These toy dishes were excavated in 1966 at Fort Hays in Ellis County. 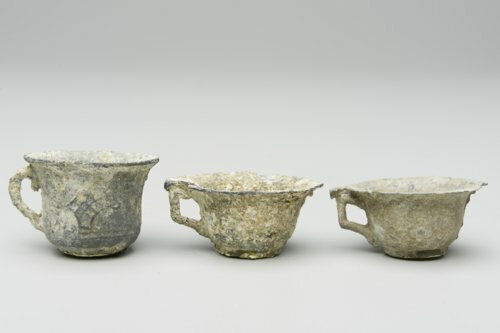 Two are identical, though they were found in different locations, and appear to have a small spout. The third is a cup. All are made of lead that was poured into a mold.